Suede Coat: Suede is not a choice for winters but this concept can be changed only if you pair them with the Sherpa lining. All you need to do is pair them with your warm clothes and do the topping of the Shearling suede coat. Keep facing the snow or rain wearing this. Puffa: Puffa jacket is a must have in winters. Go for a cream color jumper, black jeans and sneakers or chukka boots to finish your dapper look. You can roll off the cuff of your jeans and button up your shirt for a smart look. Bomber Jacket:Now let’s talk about something in classy ‘Bomber Jacket’. A bomber with a shearling collar is so cool and funky. In short, wearing this gives you a retro look. Wear it with your favorite pair of jeans, boots, and a sweatshirt. Black Shearling Coat: If you want an alternative to the brown Shearling coat then black the best option for you. They are perfect for your casual occasions and evening outings, this coat will keep your warm in the freezing breeze. On a Final Note: Shearling jacket is a stylish way to keep you warm and classy. 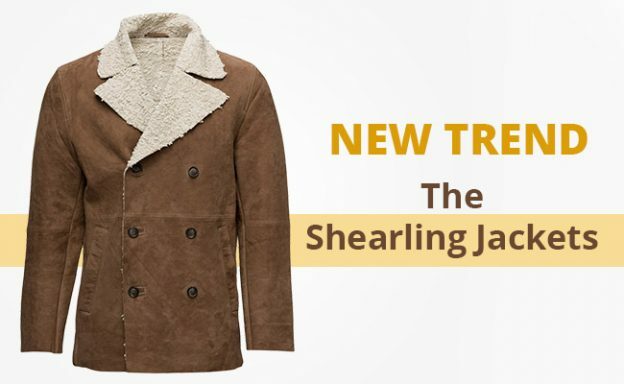 You can choose from a wide range of Shearling jackets. But make sure you give a great shot when you are combining with your outfit. Whether you are going for a formal scenario or a casual outing, this jacket can never let you down. So, pick your favorite one. Stay tuned for more stylish blogs!